While I'm far from what anyone would consider a true gamer, I am known to enjoy video games from time to time, particularly if they deal with subject matter I'm fond of. As a kid, I can't count how many games I would play a game just because I loved the intellectual property that was tied into it in some fashion—despite how bad the game actually looked. If you had repackaged the NES Batman game from 1989 as something other than Batman, I likely never would have played it. The fact that it had that Batman logo on it, however, meant that I owned the game. 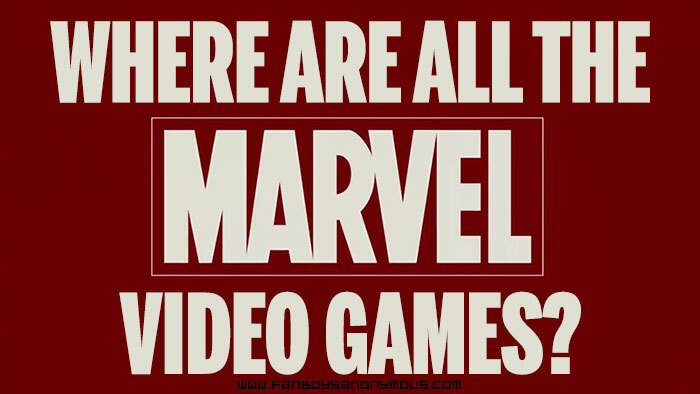 My lack of interest for things like Call of Duty and Halo combined with my history of playing games solely because I'm a fan of the source material leaves me wondering something significant about today's video game market: Where are all the Marvel video games? Considering how popular the Marvel Cinematic Universe (MCU) is and how the merchandise for those characters extends into nearly every possible nook and cranny of our lives, the lack of games seems like a big, gaping hole in the equation. Video games are insanely popular, yet Marvel isn't capitalizing. Whereas DC's Batman had four groundbreaking games with the Arkham series, The Avengers sat by and did nothing. Sure, there are of course some games out there, as evidenced by Wikipedia's list of the games based on Marvel properties. Marvel's website itself has a section dedicated to games and the internet is filled with emulators and the like. Searching for Marvel video games can even bring up the type of online video games on the casino spectrum like slot machines, poker and so on. If there's an audience for it, why isn't the mainstream supplying for that demand? Marvel is owned by Disney—one of the biggest corporations on the planet with more money than they could possibly know what to do with. With that kind of cushion, it's not like they would go bankrupt over a failed video game (particularly one with a built-in core audience), so it seems ludicrous that they aren't putting something out there to tie in with these film releases. Instead, they seem to be fixated on mobile gaming platforms, which is not a bad idea but strikes me as an odd basket to put all of your eggs into. As far as MCU films go, the last one to receive a video game around its release was Guardians of the Galaxy: The Universal Weapon—a Disney Interactive game for Android, iOS, and Windows phones. Despite loving the movie and trying to keep my finger on the pulse of these things, I had never heard of this game until I looked at Wikipedia. The game before that was Captain America the Winter Soldier: The Official Game, this time produced by Gameloft and only for Android and iOS. The bulk of the list from 2012 onward revolves around phones rather than consoles. From an outsider's perspective, when I think of gaming on my phone, I think of microtransactions with stuff like Candy Crush or other similar simple puzzle games, not anything that has the proper scope of these modern-day mythologies. If you're looking for a more standard video game based on a Marvel superhero, you have to ignore Disney's camp and instead check out The Amazing Spider-Man 2, released by Activision in 2014. This did have a release on iOS and Android, but more importantly was also on Windows, 3DS, PS3, PS4, Wii U, Xbox 360, and Xbox One. Granted, it was not well received by critics and sits with a 58 rating on Metacritic, but that failure was not the reason for the lack of console games in general. Before Spidey's game, there was Deadpool in 2013 for the PS3, PS4, Xbox 360, Xbox One, and Windows, a standalone project that didn't capitalize on anything other than word of mouth about The Merc with the Mouth. Around this same timeframe there was still some buzz about a motion picture being made, but nowhere near as much as there is now that the film will be released in a few months. Why is there no tie-in currently in development and set to come out in the summer of 2016, after that movie makes millions of dollars and creates a whole new audience for the character? 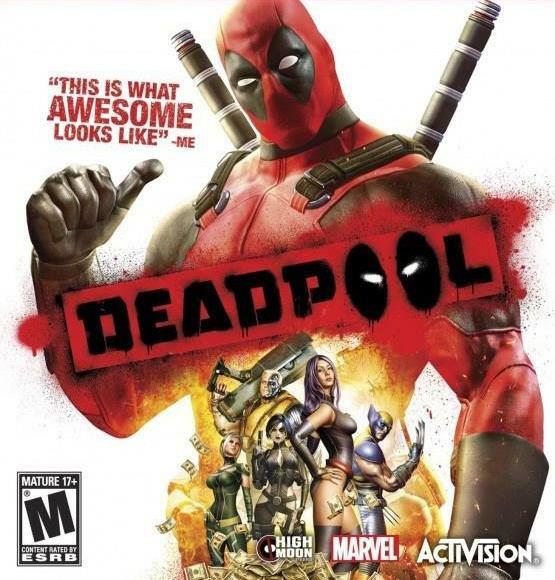 Everyone gets a film but Deadpool for years, but Deadpool gets a game when nobody else gets one. Deadpool's film rights are owned by Fox, and Spider-Man's at the time were fully under Sony's control and are now shared in part with Disney. Clearly, we can't blame one film studio's influence on the lack of game development, otherwise we'd be seeing the blatant marketing campaign of an X-Men game on Xbox or Fantastic 4 on PS4. There are two games of note that I have not mentioned yet: Disney Infinity: Marvel Super Heroes and the upcoming Lego Marvel's Avengers. The former, if we're honest, is not a video game—it's a method to sell toys. This is one of those games built to get kids to want to collect all of the figures so the parents spend as much money as possible. I don't blame Disney for doing this; they're a business and they should be looking to earn as much money as possible. However, I can't call this a legitimate video game in the same sense as the awesome Spider-Man 2 game was for PS2 and its other platforms. As far as the Lego game goes, that was developed by TT Games and published by Warner Bros. Interactive Entertainment. How Warner Bros.—the feuding company that controls DC Comics characters—is in bed with Marvel and those heroes is astonishing and interesting to think about, but this strikes me more as Marvel not wanting to be ignored in the Lego craze than wanting to have a game based on their properties. So what's the deal? If the franchise is a proven draw and there's more than enough money to put these games into production, why is Marvel only doing a few simplistic phone games like Marvel: Contest of Champions and Marvel: Future Fight instead of playing with the big boys on the consoles? Whatever the reason, it seems to be intentional, and the rationale behind it is completely lost on me. Do you agree that Marvel should be making more video games? If so, which characters would you like to see be featured? Are there any storylines you want adapted from current or future movies or the comics themselves? Tell us your thoughts in the comments below!